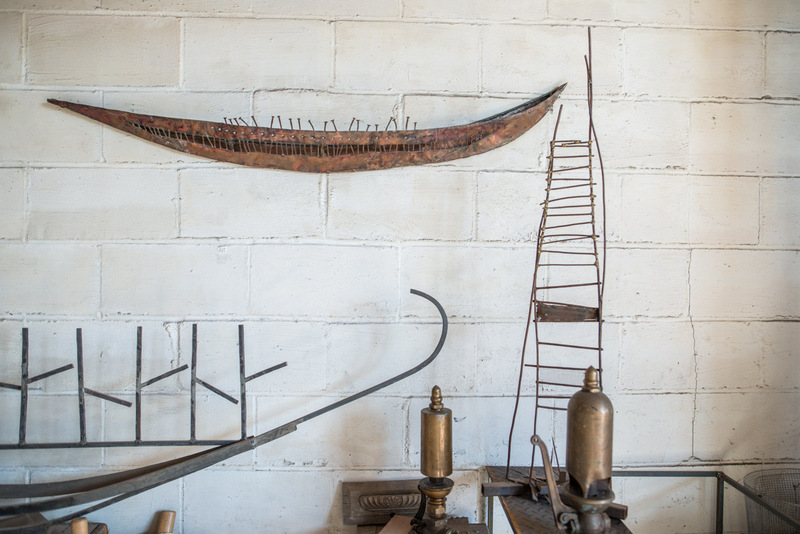 Arden Scott is a sculptor who lives and works in Greenport, Long Island, NY. She shows extensively in the US and abroad. As a guest artist at Bob Blackburn’s printmaking workshop, she was seduced by etching as a creative form complementing the sculpture. 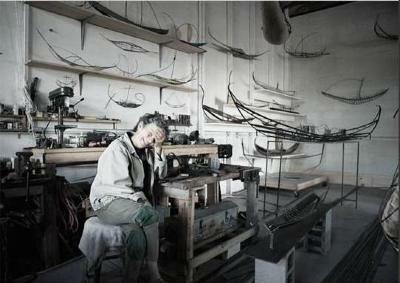 Arden Scott is a lifelong sailor who moved from New York City to Greenport in 1978. Scott remembers sailing to Shelter Island to visit fellow artist Alan Shields before she moved to Greenport—a move that would have a profound effect on her work. 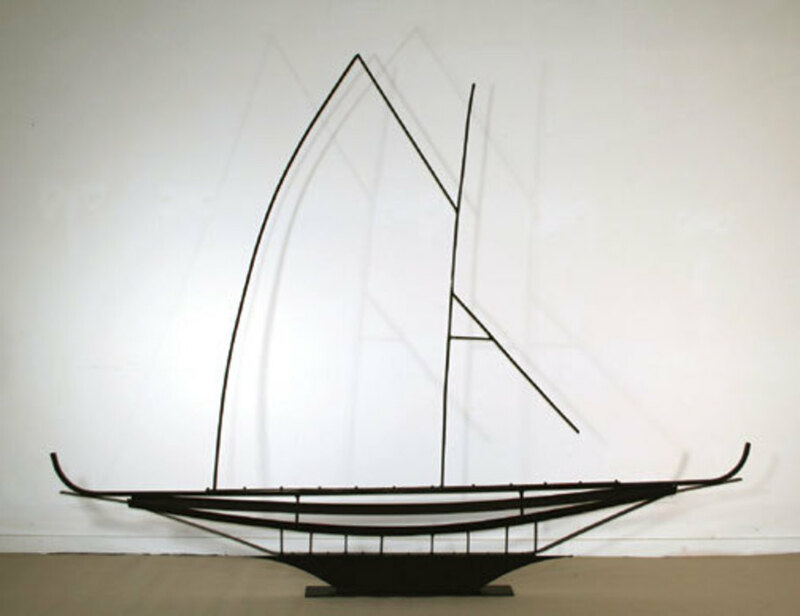 Looking back at her Minimalist sculpture of the 1960s and 1970s, Scott realized that the forms often recalled ships and ship-like contours. 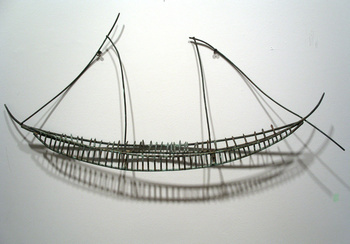 She was building her own boat at the time, and was propelled into a study of the form in man-made metals such as bronze and steel, and natural materials including eelgrass and bramble.